Happy Leap Year! This is a great day to stack bonus coupons on top of items already on sale. While Target is has extra discounts in-store using their Cartwheel app, most of the one day only deals are online with free shipping, yay! Target $5 Beauty Box is Here!! Happy Leap Day! 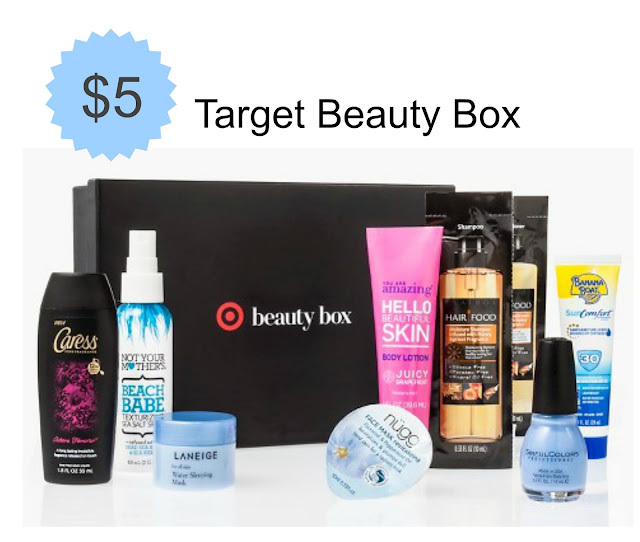 To kick off the extra day, Target announced a $5 beauty box that includes $17 worth of products plus free shipping and an extra 5% off for REDcard holders. This is a one-time subscription and always sells out within hours, so be quick! Thanks to My Subscription Addiction for the heads up! Friday Favorites: (pineapples!!) under $30 + Weekend Sales! It's hard to believe February is almost over, seriously where did the first two months of the year go?!! Los Angeles is having another summer heatwave, so I definitely have spring shopping fever, oh... and PINEAPPLES!!! Okay, calming down now, but there's nothing like seeing fresh pineapple items popping up in the stores. NEW! Target Easter Dollar Spot Arrivals: See 40+ pics! What items will you be looking for on your next Target trip? Target 50% - 70% off Home Clearance Store Pics + Target Deals This Week! What are you finding at your Target store? Target NEW DV by Dolce Vita Shoe + Handbag Collection! 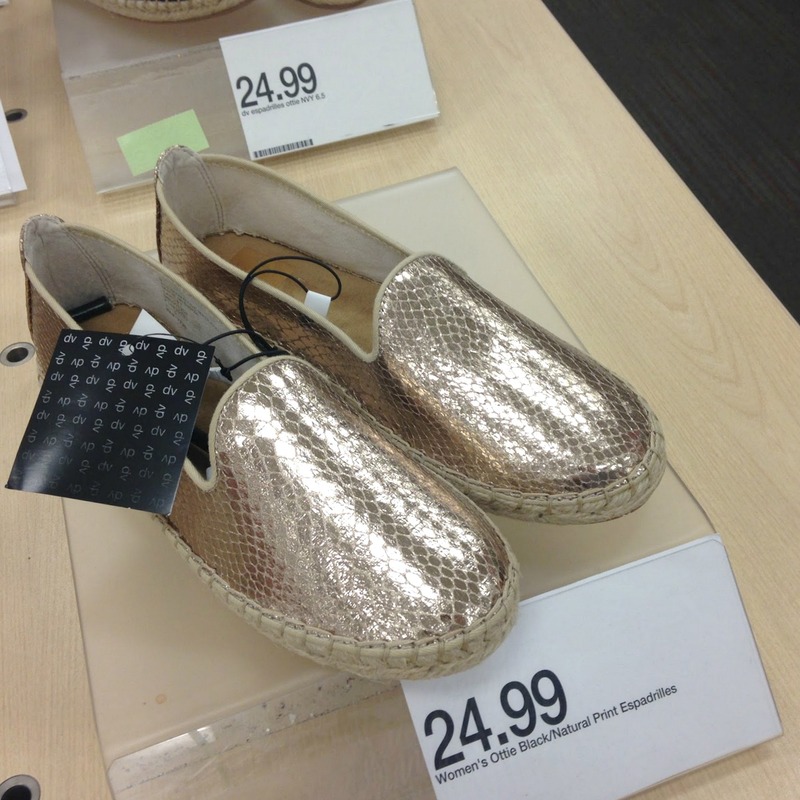 A new shoe + handbag collection launched this week at Target! The brand dv by Dolce Vita is now available, although it's technically not "new" since the label was sold at Target years ago, mainly online and a few sightings throughout the years, probably thanks to returns. I started seeing shoes pop up a week ago, but my store took their time putting out the entire display. While it's not a huge collection in terms of style selection, it's very on trend for the season and the clutches are super cute! I just wish more of the handbags were available in-store, most are showing as "online only" although that's not always accurate, we'll see if they expand the line in coming weeks. What do you think of this brand - will you check it out on your next Target run? 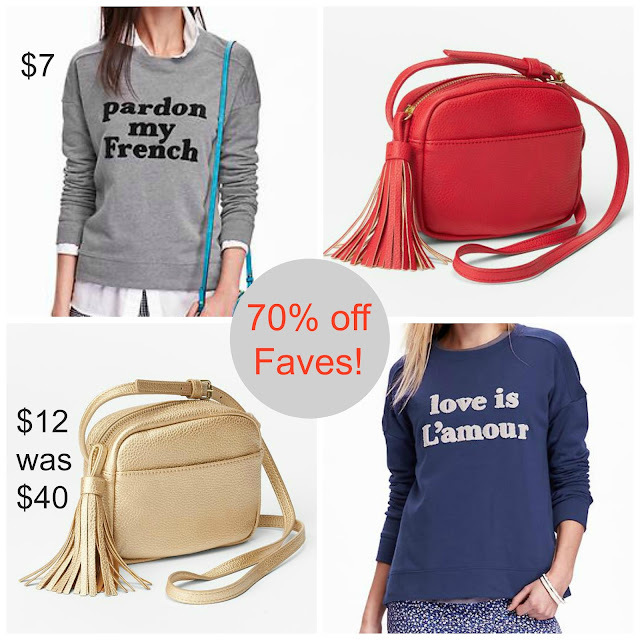 Shop 70% off Favorites: $7 Sweatshirts and $12 Bag + J.Crew Factory at NR! I noticed two of my favorite items on sale today for 70% off! Both of these pieces are fairly new arrivals, and if you are looking for a cute crossbody bag that doesn't look "cheap" in person despite the sale price, don't miss out on this one. No surprise that I previously featured these Parisian-inspired sweatshirts in a Friday Favorites, oui, oui my friends. NEW Target Spring Shoes! See over 40+ Store Pics + 25% off! Tell me, which pairs are your favorite? 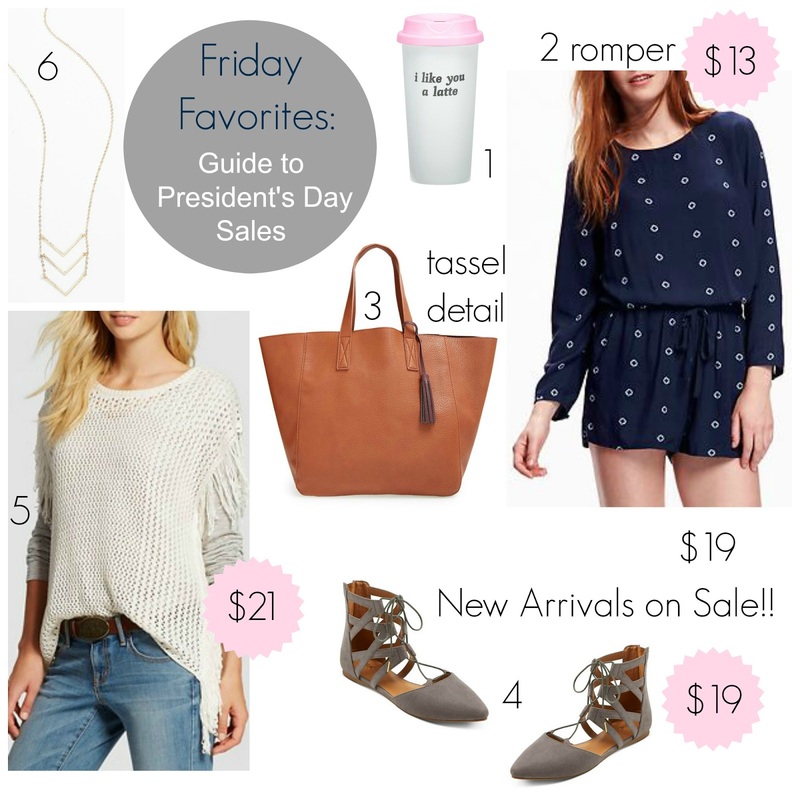 Friday Favorites: Your Guide to President's Day Sales + $12 Old Navy Dresses! Happy Weekend! I'm looking forward to shopping, relaxing and sitting by the pool (it's 90 degrees here in LA) catching up on magazines to get some spring inspiration. This is one of my favorite holiday weekends to shop since you can pick up new arrivals on sale and I am in need of adding a few pairs of shoes to my closet...although my boyfriend would probably disagree, haha. Target Merona Bags 20% off + Extra $5 & $10 off + Early President Sales! 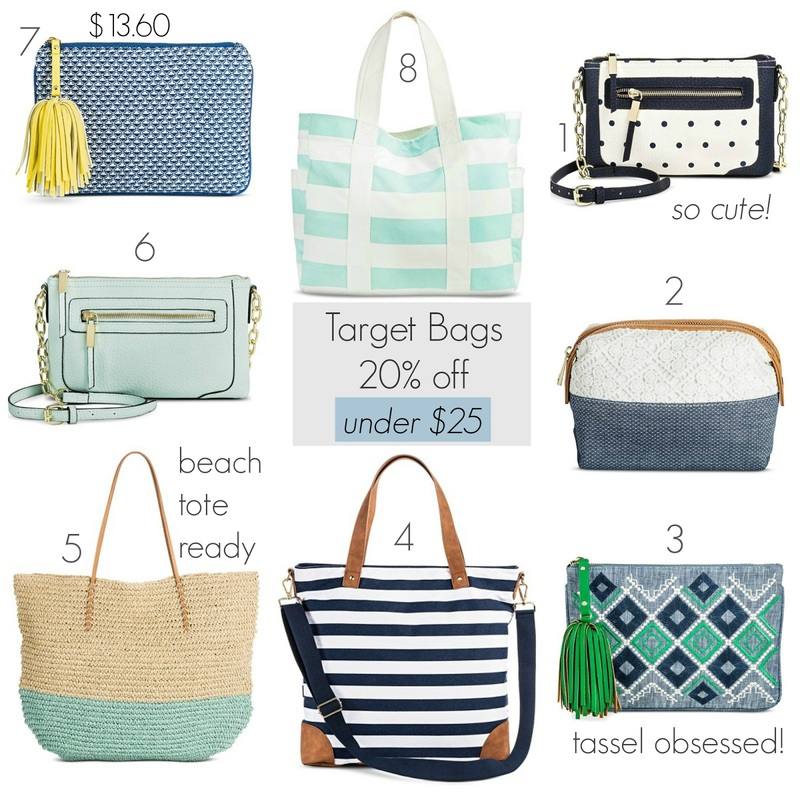 There are a few Target sales this week and I wanted to spotlight their affordable handbags under $25! In case you can't decide (when in doubt, but them both, LOL) or want to add new spring styles to your closet, score an additional $5 or $10 off your purchase plus mix and match with jewelry deals too. I added store photos to help you see the bags "in person" since website pics don't always resemble the actual item, although I really love this fun collection of Merona bags, even better on sale. Any on your must-have list? New Oh Joy! Home Collection at Target! It seems almost weekly this year that a new collaboration arrives at Target! While Oh Joy! isn't "new" per say, she designed previous collections in the party decor area for the last two years, and a few items have been popping up since January in the kids section and limited edition artwork showcasing her fun and unique style. I was over-Joyed (sorry, couldn't help myself) to find her line expanding into the home decor arena brightening up the aisle. What do you think of her collection? Labels: oh joy for Target, Oh Joy! 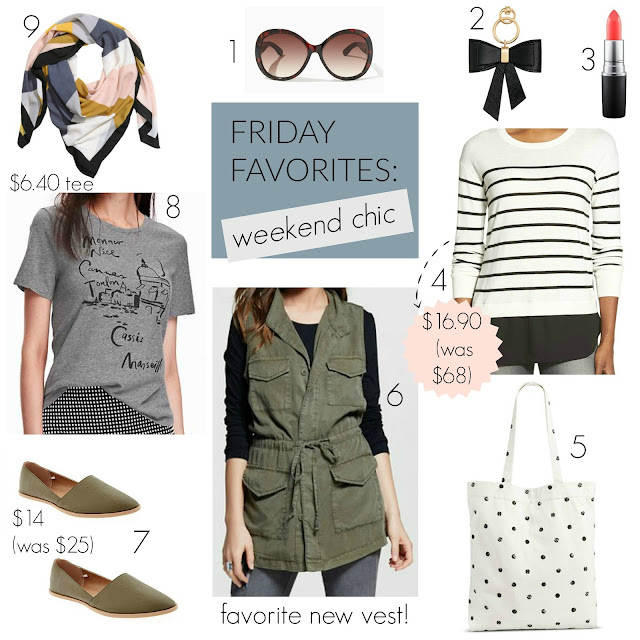 Friday Favorites: Weekend Chic under $30 + Sales! Happy Fri-YAY! Target was my shopping go-to this week, not only did they get the new Who What Wear collection in stores, they also started putting out must-have Mossimo pieces! I'm really hoping my Old Navy store stocks the spring arrivals I spied on their website since it all looks super cute. Keep in mind that sales aren't as good as previous weeks since President's weekend is around the corner with heavy discounts to come, worth waiting for if you can. 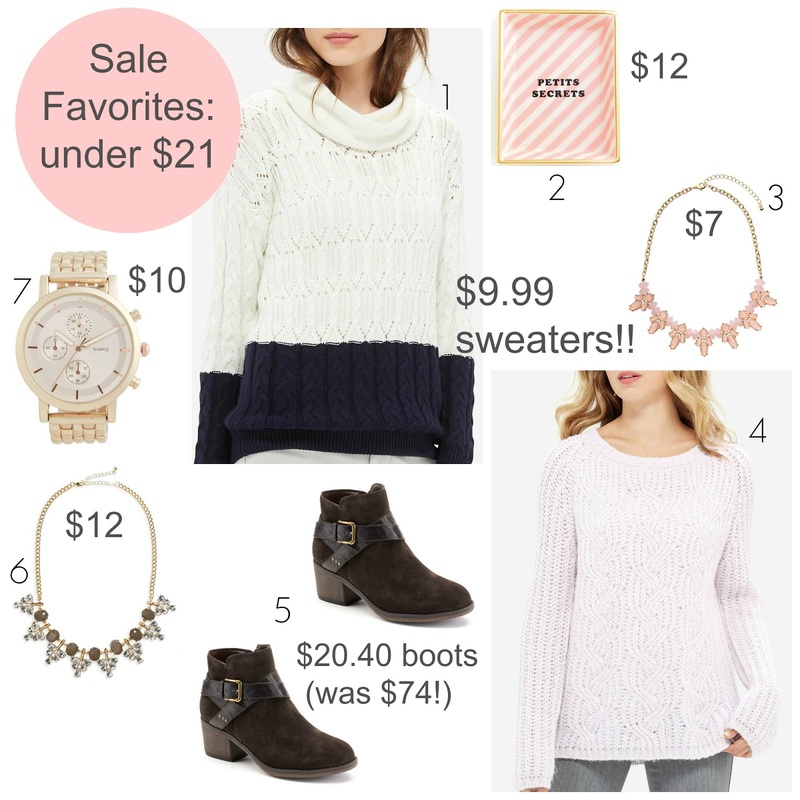 Sale Favorites under $21: The Limited Sweaters $9.99 Today!! Happy Sale Day! It's not even the weekend, but there are many shop-worthy deals to check out on this hump day, you're welcome ;-) Start shopping ASAP because items are already selling out! 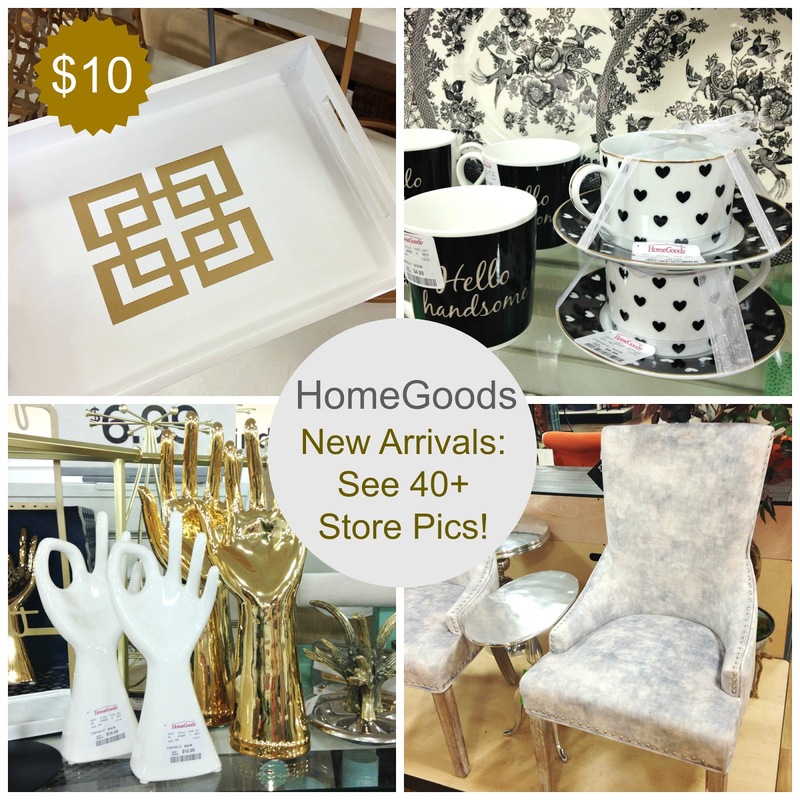 Homegoods 40+Store Pics + Kate Spade $10 Pillow!! The other day at HomeGoods, I walked into a very busy store for a Thursday afternoon. It was so crowded that the employee couldn't even load items off of his cart onto the floor before customers were already grabbing things to purchase. I'm a regular shopper at this location (big surprise I know) and he told me it was like this all day and that he was clearing the back stockroom. Naturally I had to go back again after to see even more new arrivals. They added larger displays of lamps, rugs and side tables, this is a great time to update and chic up your space for less. 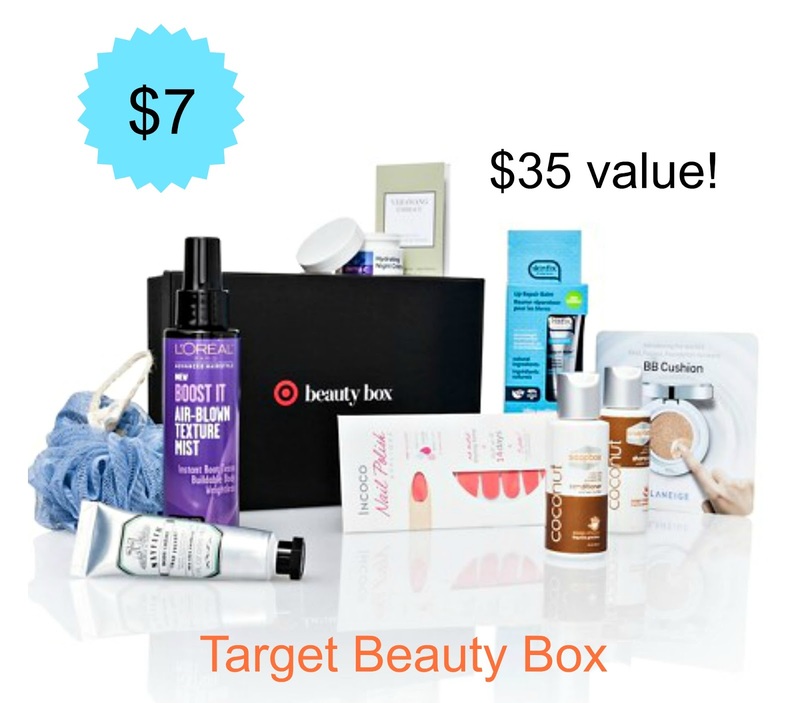 Target FEB Beauty Box $7 is Now Available! Hello February! Target is kicking off the month with a new beauty box. This is a one-time purchase for $7 to score $35 worth of goodies plus free shipping and 5% off for REDcard holders. Order one before it sells out. Thanks to My Subscription Addiction again for the heads up!